This week, as we continue the elusive pursuit of the ‘magic recipe’ for short stories, we look at four short story writers whose sense of place transports the reader so firmly into the story’s setting that the setting becomes, in a sense, the story’s leading character. These writers are: Margaret Atwood; David Means; Flannery O’Connor; and Nikolai Gogol. 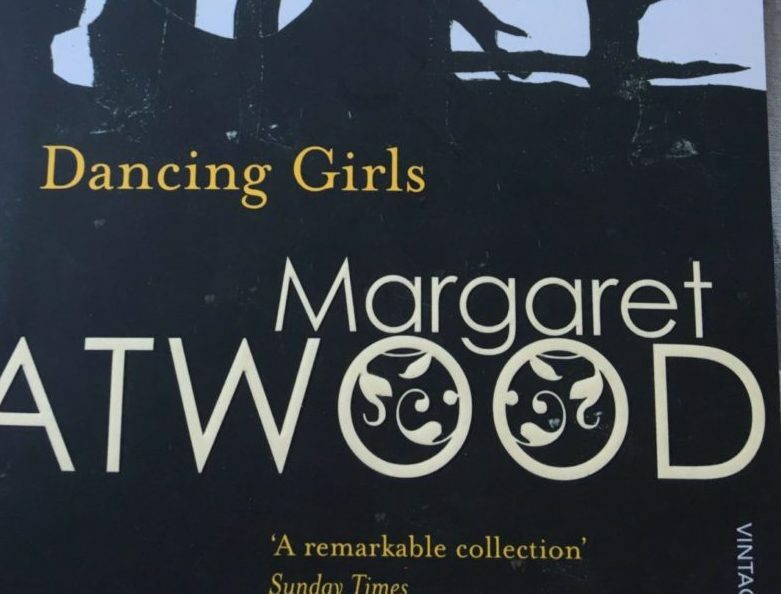 A sense of location is a striking feature of much of Margaret Atwood’s writing, particularly so in her short story collection Dancing Girls. This extract is taken from her story Betty which appeared in the 1982 Simon and Schuster edition of the collection. There was a short beach, behind which the cottages, with their contrasting trim – green against white, maroon against robin’s egg blue, brown against yellow – were lined up like little shoeboxes, each with its matching outhouse at an unsanitary distance behind. But we were forbidden to swim in the water, because of the strong current. There were stories of children who had been swept away, down towards the rapids and the locks and the Algoma Steel fires of the Soo which we could sometimes see from our bedroom windows on overcast nights, glowing dull red against the clouds. Note the piercing accuracy of observation, the precision and ‘pinning’ of a particular place and time, so that the rest of the story takes place in a setting we already feel we know and understand. Means has written four short story collections and a novel (Hystopia, 2016). His stories have the stripped down, unsentimental quality of Raymond Carver, but also as strong a sense of place as Flannery O’Connor (see below) – though if O’Connor’s milieu was the deep south, Means’ is distinctly the Hudson River basin and the Mid West. This extract is from Means’ story The Grip from his wonderful 2000 collection Assorted Fire Events. Beneath him the metal gave and sang accompanied by the tedious clack of rail gaps; it was the couplings whacking each other or something. Jim didn’t know the parts the ways some did, the ones who worked on the lines; he was just hanging on, and had been since the yards in Albuquerque, where he’d clambered up between cars and then, before he could jump back down, found himself stuck as the train opened up full throttle and darkness fell, which it did along this stretch of the Rio fast and quick, the sun sliding off the emptiness, leaving him with only his grip and a foothold that wasn’t sure. It was very cold. We are completely there, riding the couplings as the sun goes down ‘sliding off the emptiness’. We the reader are as fearful as the protagonist about what is to come next. Here is an extract from the story The Life You Save May Be Your Own from O’Connor’s stunning 1955 collection A Good Man is Hard to Find. In this story Mr Shiftlet, who has just acquired a car and a wife he didn’t want (left asleep in a diner en route), is feeling a little lonely. I’d argue this is as beautiful and concise a description of a forming storm – personal as well as meteorological – as you’ll find anywhere. I’ll confess right now to being more than a little obsessed with Nikolai Gogol. I find his writing astonishingly modern and absurdist, all the more so as Gogol himself never strived to write in a modern way and considered himself quite the traditionalist. He wrote his often surreal fiction almost despite himself. His most famous stories, The Nose and The Coat, together with his best knownlonger work, Dead Souls and The Government Inspector can be seen as a hundred years ahead of their time. He was born in Ukraine and his early success (for which he worked very hard) was based on Ukrainian folk tales. He then moved to St Petersburg, before settling toward the end of his short life in Moscow. This extract is taken from the opening of his story The Nose (1836). It’s a story about a man who loses his nose and strives hard in the face of many indignities to recover it. On 25thMarch an extraordinarily odd incident took place in St Petersburg. The barber Ivan Yakovlevich who lives on Vosnesensky Avenue – his surname has been lost and, even on his shop sign, which depicts a gentleman with a lathered cheek and an inscription: “We do bloodletting too”, there is no other information – so the barber Ivan Yakovlevich woke up rather early and detected the smell of hot bread. Raising himself up slightly in bed, he saw his wife, a rather respectable lady who loved drinking coffee, taking freshly baked bread out of the oven. Note how Gogol uses the specific detail of names, shop signs, smells. He anchors us in a seemingly routine reality, a reality which will be challenged greatly in the rest of the story. These four great writers make place as important as character and voice in their stories, never sacrificing one for the other but taking us to a distinct location and time, winning our attention without unnecessary ‘scene-setting’ so that the story itself lingers long after we have read it. Why? Because we were there.